1st ever GameJam - 1st ever game! 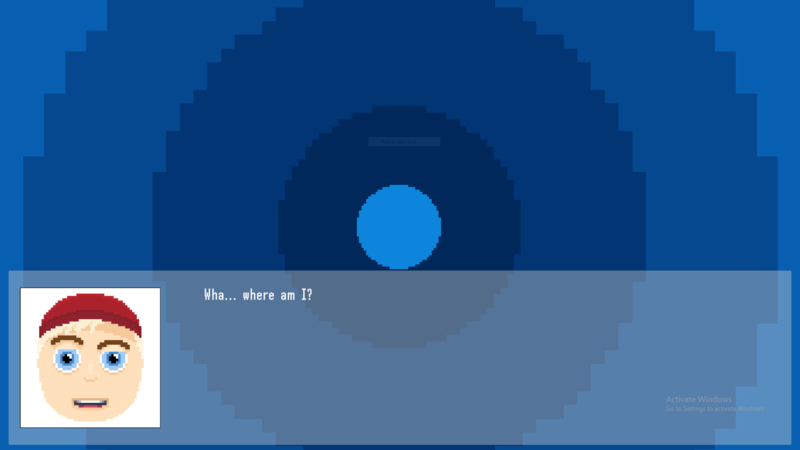 I applied the theme in two ways to my game - in the form of a bicycle and cycles of time. The concept of cycles is also applied style-wise. 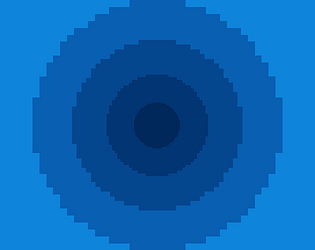 There are multiple scenes in which blue concentric circles move into each other at a moderate pace. Not really flashes, but just motion. It seemed fun at first, but not for long enough to get through it. 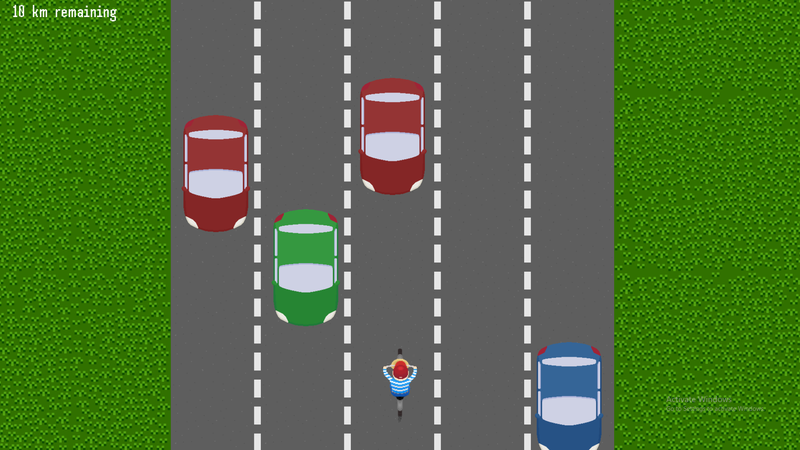 The cars spawn at a good rate, but the patterns they can spawn in often result in the player having to make a choice between two direction before they find out whether either of the directions will turn out to have more cars forming a dead end. Also, after a few tries, the movement of the lane indicators starts to feel like flashing lights, which makes the cars harder to pay attention to. This is minor, but when designing a game, I recommend choosing what types of controls you're going to have available early and then trying to be consistent about supporting them, that way your player never has to figure out more controls. In this case, your actual game uses keyboard controls, so the dialogue and menus should also be allowed to use keyboard controls. The mouse control is still good, since the player can use WASD thus making it intuitive for FPS players, but if the player finds the arrow keys first, then switching between them and the mouse will feel weird and they won't necessarily realize that WASD is also an option. I definitely agree that the spawn patterns can be unfair. I will focus more on fairer RNG in the future. It's very useful and I will keep it in mind when creating future video games.